In the small fictional Indian town of Malgudi an independent, very amateur journalist pauses over coffee to tell a story. His subject is the mysterious, fashionably attired, Mr. Rann who arrives one day at the train station. But doesn’t leave. His story unfolds rather matter-of-factly and preposterously as we, the readers, stumble behind the reporter through the streets. Together we soak up local culture, meet village elders and children, larger-than-life city women, and bureaucratic station masters as Mr. Rann’s mystery is patiently revealed. It’s a short novel: 116-pages. As the author says in his postscript, “I could have stretched the story, but that was I thought that this story needed.” There is more depth here, however, than many books thrice as long. 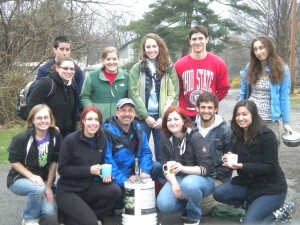 The Spring 2011 Environmental Science Junior Seminar in Sustainable Development at Allegheny College assembled a very comprehensive website on how to produce biogas from organic wastes. 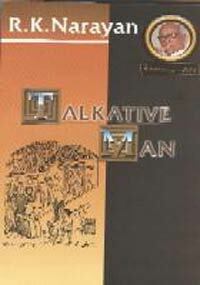 It’s an excellent resource on the topic. A Chasidic Rabbi from the olden country goes out to meditate on the meaning of God, falls into a trance, and then a lake that freezes over him, where he lies, smiling, encased in ice before being discovered and chipped out by Yossl King of Cholera. His frozen body is preserved for more than a century before thawing out during a 1999 power failure in the Memphis freezer of a discount furniture salesman. The Rabbi wakes, learns English and channels a southern revivalist, kabbalistic preacher. 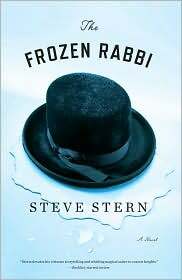 while we, the readers, While the Rabbi becomes a huge business success, we, the readers, simultaneously follow his frozen journey through the generations of Jews that protected for this Yiddisher ice cube from shtetl to Tennessee. Often, laugh out loud funny — the more Yiddish or Borscht belt humor you know, the funnier — and occasionally too obtuse. There are deeper messages in this text about spirituality, God, Kabalah, and family, but I’m afraid they were just far enough below the surface I couldn’t quite bring them to focus. Stacy Schiff doesn’t just bring the most powerful woman in history to life, she brings her readers on location. We face every decision Cleopatra contends with in real time. 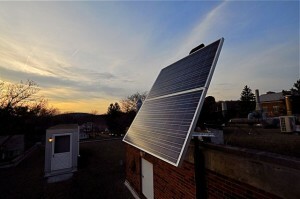 First we are given detailed context with respect to the economy, politics, both local and foreign, family issues, the weather, even it feels like, how everyone is feeling on a particular cloudy afternoon when something auspicious is about to occur. Then we are given options, Cleopatra’s selection among those choices, and finally a full retrospective analysis for what might have been going through her mind as she calculated was on the minds of her friends and enemies. Without being overtly feminist in her description, Schiff does an extraordinary job of overturning history’s assessment of the Queen. 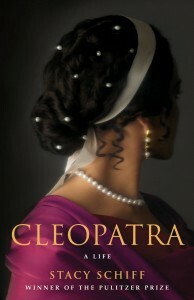 No longer a whore and seductress, Schiff persuades us rather convincingly that Cleopatra is an exceptionally adept politician unsurpassed by virtually anyone of her period. Yes, she sleeps with and has children by the two most powerful men of her era — Julius Caeser and Marc Antony — but her success is not so much sexual as political. The tragedy, Schiff argues, is that Cleopatra is judged by standards reserved to oppress women, rather than the more objective measures used to evaluate male political leaders. Schiff can really write, too. This is much more than a history text; it redirects the way history has been used for 2,000 years. A short introduction to the dehumanizing, racist relocation of Japanese Americans to internment camps at the outset of World War II. We follow a single, nameless family from a small bungalow in Berkeley, after the father is hauled off for questioning by the FBI. It is the day after Pearl Harbor. Weeks later Mom and the two children are moved to a church, the Tanforan horse racing track, and finally a desert internment camp in Nevada. Dislocation, despair, depression, disbelief, and quiet obedience pervade these Japanese stripped of their rights and dignity. Dad is returned to his family four years later a broken man. No explanation or reparations are offered by the U.S. government. 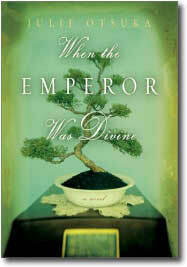 When the Emperor was Divine reads more like a young adult book than a great novel, but for those who don’t know much about the Japanese internment camps, this is a good place to begin. It had great promise. An A to Z series of essays on the most numerous, weighty, and least talked about organisms on earth chronicled by a gifted writer. 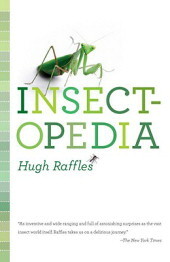 I wish I could have read the whole thing, but Raffles is an anthropologist, not an entomologist. He would begin an essay with an insect story, divert to a person or people pertinent to those insects, say, China’s trained crickets, and then get lost in his own beautiful sentence constructions. In the end this book will probably appeal to those people that like the kind of nature writers who wax poetic and philosophical, but only occasionally remember to tell good stories. It felt like a book written for writers, not readers.